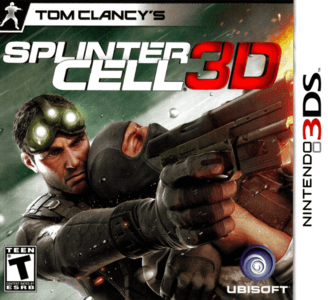 Tom Clancy's Splinter Cell 3D is a remake of Splinter Cell: Chaos Theory developed by Gameloft and published by Ubisoft. It was both an exclusive and a launch title for the Nintendo 3DS. While the game is a port of Chaos Theory, it includes features from Conviction as well, including projected text and fusion vision. Tom Clancy’s Splinter Cell 3D hangs indefinitely on the initial loading screen.